Calla Lilies are easily among the most elegant and stylish blooms on the market today. With their upright, trumpet shape and unique color palettes, they are not easily mistaken for any other flower in the garden. We are proud to offer a new calla variety, Picasso, to our valued customers. 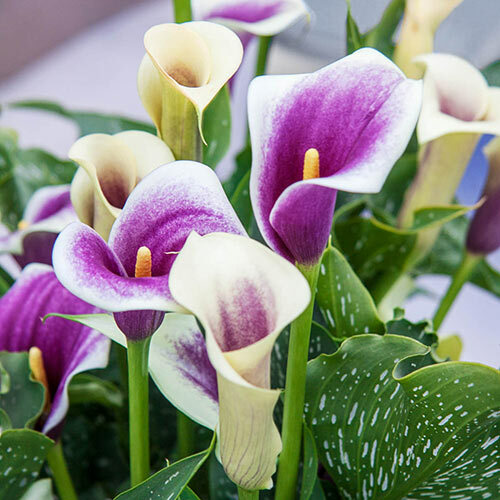 It features the classic trumpet shape, chic and sophisticated in form with creamy white to yellow flowers that blend to deep, rich purple in the center. The flowers grow to 5" atop stems of 24-30" tall for a statuesque perennial that looks just as good in the vase as it does in the garden. Picasso is perfect for borders, decorative pots, rock gardens and cutting beds. Bring a few stems indoors to create a sophisticated bouquet or arrangement. Winter CareCallas are not hardy. 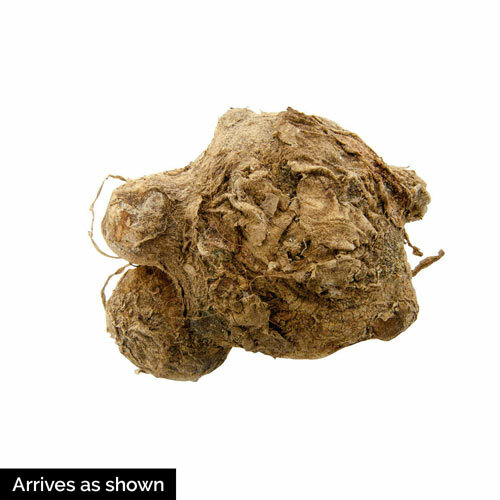 Lift the bulbs in fall and store in a cool, dry and frost free location.